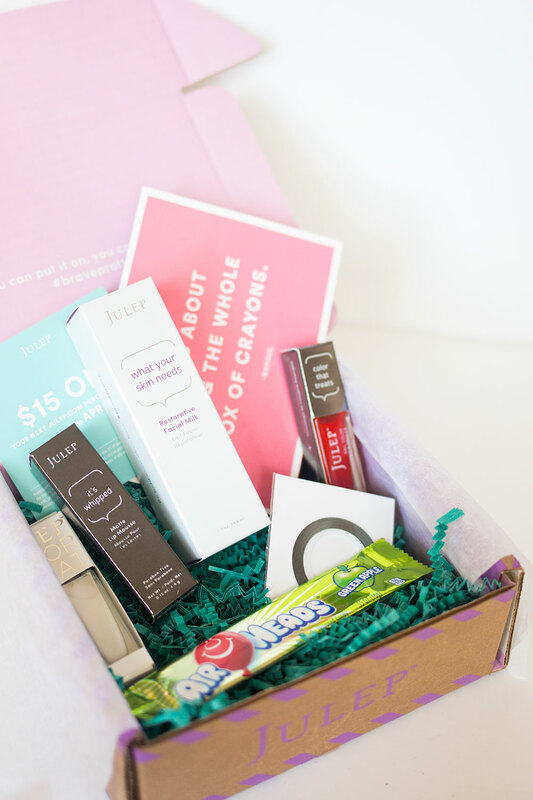 Affiliate Links // The 3B Beauty Box was provided for review. However, I paid for the other subscriptions. It’s been awhile since I’ve done a full review of any sort of subscription box, but I thought it was about time to talk about what’s new in beauty boxes (for me anyway). You may recall a few months ago I gave up Ipsy and Birchbox. I had been overwhelmed with samples and found that the quality of the samples I was receiving just wasn’t there anymore. I’ve still seen some people get some pretty awesome things from them, so perhaps my luck had just run out. Either way, the search began for something to quench my thirst for beauty samples. I’m a beauty junkie. The latest products? I want them all! I have so much fun trying them out and sharing them as I find the true winners. This is why I thought I’d share a few new-to-me beauty subscriptions. After hearing about Boxycharm for months, I decided to give it a try. I also received a Beauty Beyond Borders subscription from the company to try, which was so sweet of them! I’m still a newbie to Korean beauty and skincare and love having someone else select the products for me. Finally, my old favorites, the Walmart Spring Beauty Box and Julep Maven both arrived in April too. To see me unbox each of the boxes, I’ve compiled the unboxings into the video above. 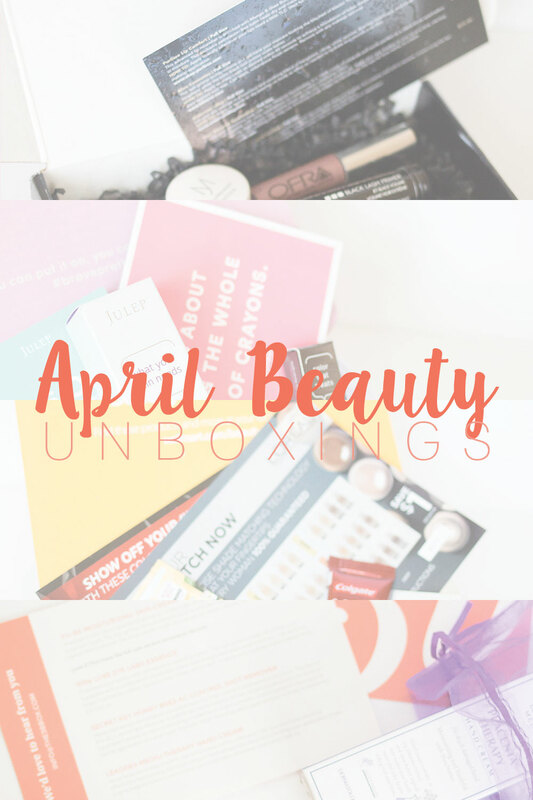 If you’re more of a reader, continue on to see my thoughts on each product I tried in my boxes last month! For $21 a month, Boxycharm sends out a variety of full-size beauty products. Anything from high-end favorites to up and coming beauty brands could be included. Blinc Lash Primer: To me, this was the most intriguing product in the box! I was so excited to try this out and noticed a huge difference in the volume of my lashes when using this with a basic mascara. (I used it in combination with the ELF Mineral Mascara, which is not particularly volumizing or lengthening on its own. OFRA Cosmetics Liquid Lipstick in Pasadena: This color is gorgeous! I’ve tried OFRA Liquid Lipsticks before and have been impressed, and this one does not disappoint either. If you’re in the market for a your-lips-but-better mauve color, you’ll love this one. Pur~lisse Daily Lip Nourisher: A fruity lip balm, this feels super luxurious and moisturizing on the lips. I love the texture and feeling of this, plus I always love when hydrating lip products come in tubes, not tubs. Anderson Lilley Manhatten Beach Butter Hand Cream: With having a beach in the name, I expected more a summery coconut type of scent. To me, however, this smells more like fresh laundry. It smells nice, and the cream feels lovely on my hands. However, I’m not sure I’d repurchase this for $24. Your Minerals Eyeshadow in Brown Hypnotic: Unfortunately for me, loose pigment eyeshadows aren’t my thing. This one is unopened and will be passed along in a future giveaway. For the cost of shipping ($5), Walmart will send you a random assortment of drugstore brand samples four times a year (spring, summer, fall, winter). Expect anything from deodorant to lotion to makeup products! Burt’s Bees BB Cream in Light/Medium: A tiny bit too dark for me, this BB cream feels really, really nice on the skin. Compared to my (much more expensive) It! Cosmetics CC Cream, I’d say the feel on the skin is lighter weight but provides just as much coverage. Like most BB Creams, this is an all in one SPF, moisturizer, foundation type product. For summer, this would be fabulous to travel with or just use daily to get additional SPF protection and nice coverage. The finish is on the dewier side, so oily skin types may not be a huge fan of this. Overall, a winner and I’m considering picking up the full size in Light. Jergen’s Natural Glow Moisturizer: Considering I just wrote an entire post about these products, the timing of this couldn’t have been better! I won’t go into too much detail, but basically, if you’re in the market for a gradual tanner, this is my favorite. It’s budget friendly and works rapidly. (I saw a huge color difference after using it twice!) I passed this sample size onto my mom who had yet to try it since I already own the full size of this! Colgate Optic White Toothpaste: I was a little nervous about this since it does have a sensitive teeth warning, but unlike some past experiences, I didn’t notice any sensitivity from this paste. I didn’t notice an extreme difference right away in whiteness either, but I also am juggling finishing up the last of our previous toothpaste which probably isn’t helping. My bad. Curel Itch Defense Body Wash: I received this from Influenster a few months ago and failed to do a full review, however, I loved this. I was using this in the middle of winter when my skin was crazy dry and itchy, and it cleared it up right away. I only have a need for this in the winter so that I will be saving my sample for then. John Frieda Brillant Brunette Shampoo: I haven’t had a chance to try this one yet, however, I most definitely will this weekend! I’m excited to see if it lightens and brightens up my hair! Biore Baking Soda Powder Cleanser: I’m super suspicious of anything with baking soda after a terrible experience in my youth, but after reading that the citric acid in this product neutralizes the baking soda, I felt more comfortable. This powder cleanser isn’t terribly intense (which I like!) yet still makes skin feel smoother and I noticed an improvement in dry, flaky spots. CeraVe Healing Ointment: This is essentially the same thing as Aquaphor. The texture and way it works feel the same to me. However, it does say not to use it around your eyes which is what I did on dry patches. Oops. I’m still alive, so it didn’t kill me, but I won’t be doing that again. Known for their nail polish, Julep is a local-to-me brand that has recently been revolutionizing skin care and makeup too. Their founder is Korean-American, so she infuses well-loved Korean ingredients into each of their products. Each box is reflective of a monthly collection of colors and beauty products, is $19.99, and you can try your first month free with my affiliate link here. I actually have a customizable box, which allows me to swap out any items from their store with the current month’s picks. Nail Polish in Brigette (White): This was a freebie this month and was sent out to be used as a base on all of the sheers in April’s nail polish collection. I already own this so expect to see this in a future giveaway. What Your Skin Needs Restorative Facial Milk: This was a repeat purchase for Dave, yet both of us love this. It’s a dupe for the much more expensive Josie Maran Argan Milk, and it works beautifully on dry, sensitive skin. I really can’t say enough good things about this product and will be very sad if Julep ever discontinues it. Love Your Bare Face Stick Cleanser: I was really unsure about this, but it’s pretty neat, and I can see this being an amazing solution to someone that travels a lot. Essentially it’s a cleanser in balm form. Spread it all over your face, then wash your face like normal. It’s non-drying and perfect for sensitive skin types like mine! It’s Whipped Lip Mousse in Beso (add-on): This is beautiful! It’s totally a summer color, super bright coral-orange-red and I love it. The formula does not last all day, but will easily last through a non-greasy meal. 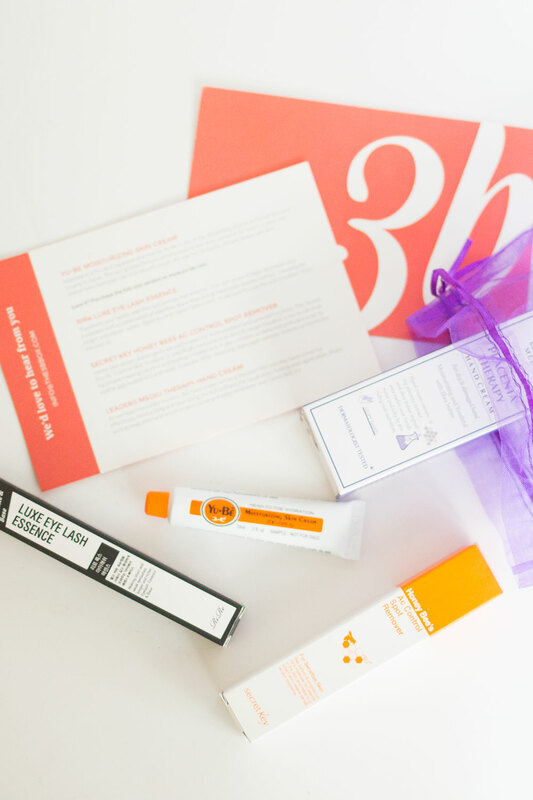 If you’re looking for an intro to all things Korean beauty and skincare, the 3B Beauty Box is perfect for you! For $12 a month, a pouch of the hand-curated products will be delivered to your mailbox. RiRe Luxe Eyelash Serum: To be honest, I have no idea if this works, however layering it on under mascara is super simple. It’s essentially a clear mascara, and if it works, then this will be the easiest way to grow lashes (and brows, as who doesn’t want a little extra brow hair?!) ever. Yu-Be Moisturizing Cream: I’ve received samples of this from beauty orders and Birchbox in the past. I like using this on dry patches on my face, but as an all-over moisturizer, I find it to be a little thick and hard to work with. Honey Bee’s AC Control Spot Remover: Fortunately I haven’t had a chance to try this out on a whopper of a zit yet, but when I do, I will update this post. That time of the month is impending, and I almost always get a monster zit on my chin. Leaders Mediu Placenta Therapy Hand Cream: This hand cream is incredibly thick and luxe feeling, which are both things that I like in products used on my hands. Right now my hands are pretty hydrated and aren’t terribly dry, but come winter I could see this being a life saver. 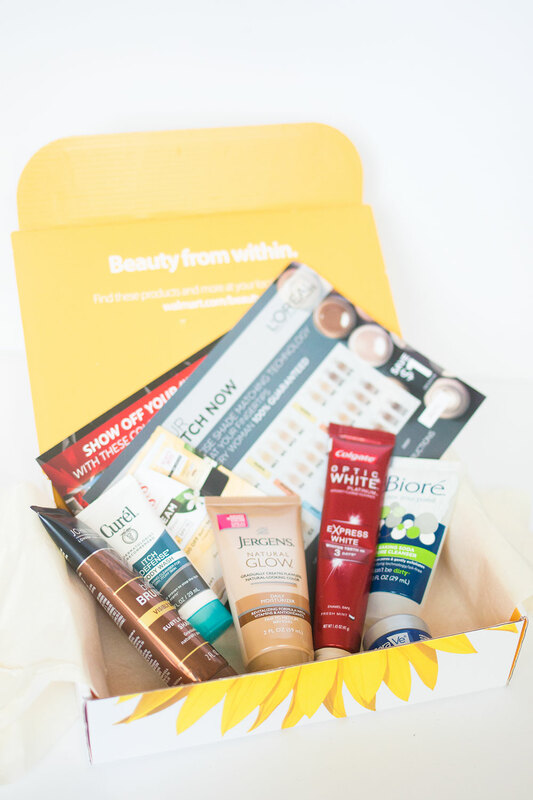 Have you tried any new beauty boxes recently? What beauty box would you like to see me review next? Yes! I’ve been dying to try some Korean stuff! Ordering the Beyond Boarders box right meow! Thanks for feeding my subscription addiction! Woohoo! Hope you enjoy it, Chelsie! :) Anytime. So I’m getting better with make up these days lol, but my question is: what’s the major difference between a bb and a cc cream Jenn? How do you sign up for the Walmart box? I’ve tried to find it several times, and either they’re sold out or I can find it. Is there a way to sign up for an email to know when they’re available or something? I signed up on their website (https://beautybox.walmart.com/) on the sidebar in the blue/green box. It should create a new account and then you’ll enter your payment info and select which box you want to receive on the next screen. (I think there is classic or trendsetter, I get the latter) Hope that helps, Britt!